If you are awaiting trial on a serious state or federal criminal charge in Illinois, or if your family has been torn apart by an imminent divorce, you have good reason to worry about your uncertain future. The sound counsel and consistent support of an experienced, aggressive, compassionate attorney can change all that. At Antonietti & Associates we have offered quality representation and comforting personal service to clients in Greater Chicago since 1995. Our law firm’s founder, former prosecutor Charles E. Antonietti, brings almost 25 years of experience to the protection of your rights in criminal law and family law matters. 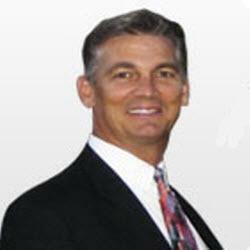 Charles E. Antonietti is a lawyer who customizes his legal leadership to suit your unique situation. He is sensitive and understanding when speaking with you; forceful when negotiating on your behalf; and aggressive with tactics in criminal defense, divorce and civil litigation. His prosecutor background gives him special insight into the mindset of those who would convict and harshly punish you.